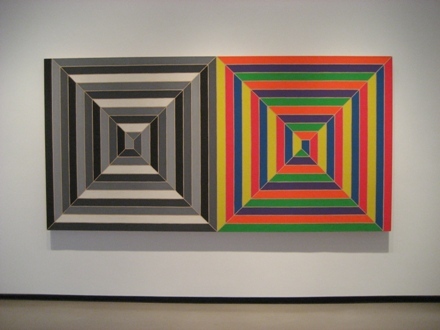 Frank Stella, Double Mitered Maze (1967). All images on site for Art Observed by Ana Marjanovic. 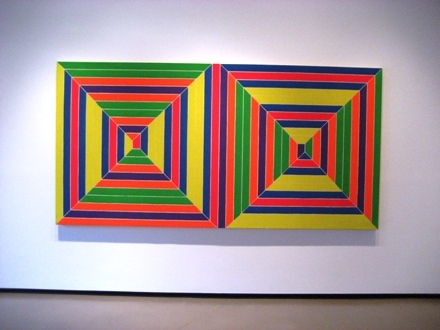 Non-figurative painting, according to Greenberg, has emphasized the material qualities of the medium as it progressively abandoned any formal resemblance with the real world. 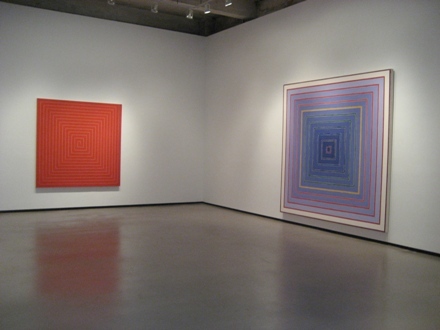 Greenberg’s formalism favored two-dimensionality of the canvas instead of illusionistic volume. 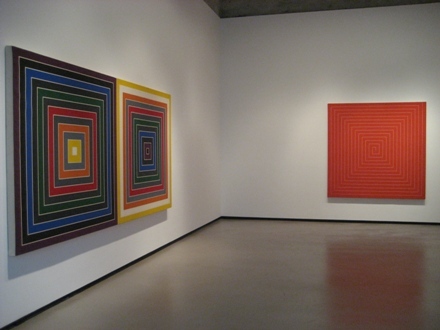 Although Geometric Variations do not stand in opposition to this viewpoint, the exhibited canvases challenged the flatness of pictorial space through use of color. The venerable Fowler (1926) was characteristically brusque. He gave his blessing to this sentence: “He is one of the best men that HAVE ever lived.” He said that a moment’s thought would demonstrate that the plural “men” demands the plural verb “have.” In his Dictionary of Modern American Usage (1998), Bryan A. Garner is equally positive: “This construction requires a plural verb, not a singular one.” Other authorities are not so certain. R.W. Burchfield, who aspires to Fowler’s throne, is ambivalent. A plural verb, he says, is “recommended” but it is not always required. Roy H. Copperud, a great editor and teacher, noted that 58 percent of an American Heritage panel voted for the plural verb. In a poll for Harper’s Dictionary of Contemporary Usage, 66 percent of a panel voted for the plural, 13 percent for the singular; 20 percent opted for “interchangeable.” In 1951 a scholar reported that over a period of 400 years, a count of relevant citations showed five plural verbs to one singular verb. In the schools of journalism, this is the kind of fluff that gets a Ph.D. promoted to full professor. Leo D. Tafolla of Las Vegas asks an injunction against “first of all,” as in, “First of all, the president is not elected by the people.” The injunction will be granted. The problem is that once we embark upon “first of all,” we are stuck with second of all, third of all, and ultimately 27th of all or 105th of all. The injunction will extend to secondly, thirdly, fourthly and fifthly. 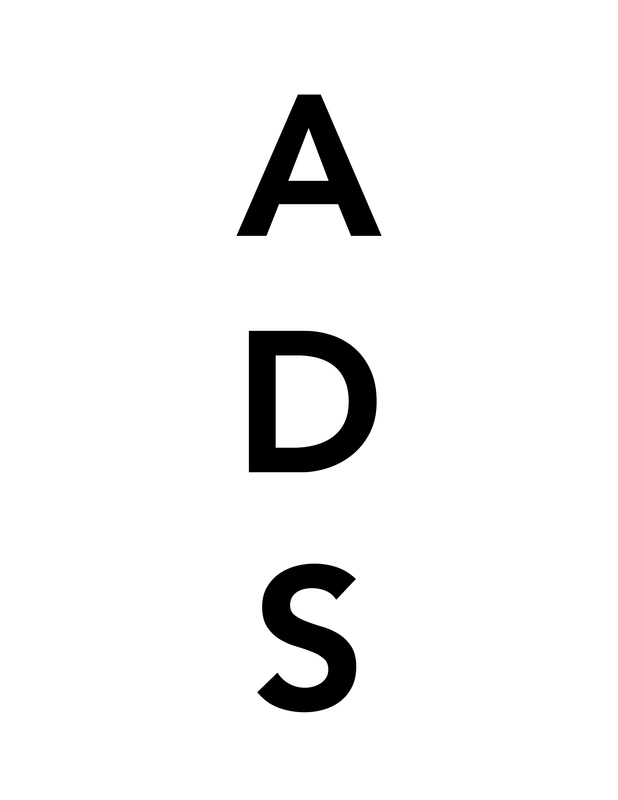 Let us adhere to plain homespun ordinals and forget the adverbial ruffles. David M. Grogan of Charlotte, N.C., petitions the court for a formal warning against the excesses of political correctness. Consider it delivered. He was moved to action by a story in The Charlotte Observer recalling one of the most famous trips in railway history. This was the fatal ride taken by engineer John Luther “Casey” Jones of the Illinois Central RR. On a foggy night in April 1900, Jones piloted the passenger Cannonball south toward Mississippi. Across from him in the cabin was a veteran fireman, Sim Webb. Sad to say, Casey’s hand was a bit too firm upon the throttle. Webb had cut back the steam at a curve, but the train still plowed into the caboose of a freight train that had stalled on the main line. Webb leaped clear, but Casey died in the crash. The resulting ballad about the famed engineer and his “old greasy fireman” was a music hall favorite for years. The Observer’s travel writer retold the story. It was not an improvement: “Jones was making up lost time when his firefighter warned him of an approaching train. After telling the firefighter to jump, Casey died in the collision.” Firefighter? Firefighter! The court likes “firefighters” in a firehouse, but the skilled professional who “shoveled on a little more coal” was a fireman. Harumph! 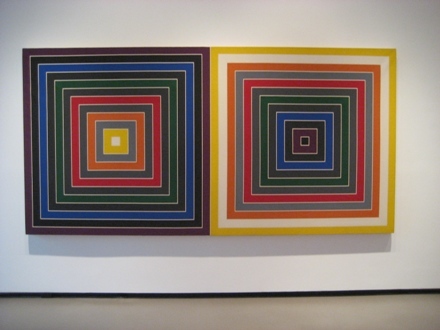 This entry was posted on Friday, October 28th, 2011 at 12:46 am	and is filed under AO On Site, Art News, Go See. You can follow any responses to this entry through the RSS 2.0 feed. You can leave a response, or trackback from your own site.